The Syro-Malabar Church was founded by St Thomas the Apostle of Christ in Kerala, India in 52 AD. The Apostle has established 7 main churches in India. They are Niranam, Palayoor, Nilackel, Kottakkavu, Kokkamangalam, Kollam and Malyamkara. He also initiated the Church in Malayattor. The aforementioned churches are known as shrines of St. Tomas. The Syro-Malabar Church is a very lively and active church in Kerala. It has sent thousands of missionaries of all over the world. In October 2014 the Church celebrated its first saints, Saint Alphonsa, Evuprasiamma (Saint Euphrasia Eluvathingal) and Saint Chavara Kuriakose Elias. 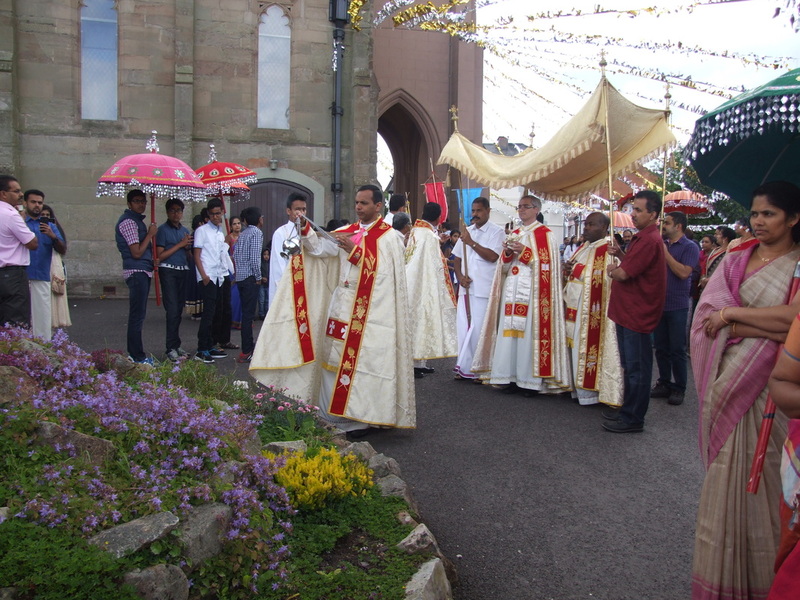 The Kerala community in Redditch consists of various Christian Rites: the Syro-Malabar rite, the Latin rite, Jocabite, Marthomites etc. 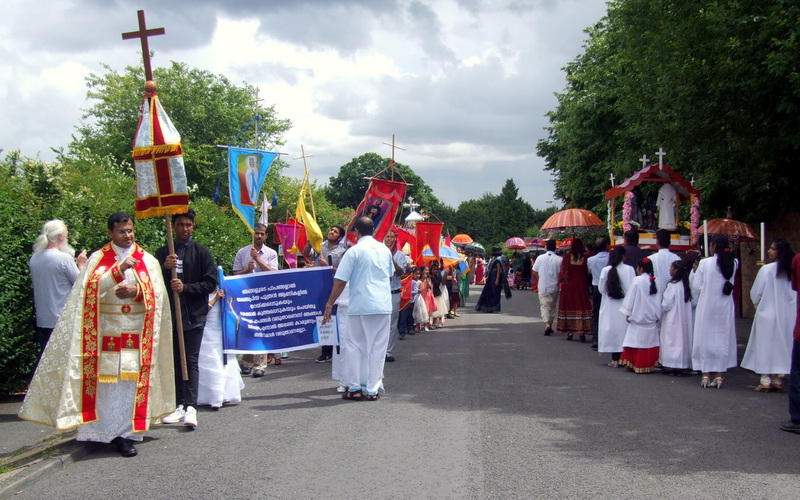 There are around 45 families in Redditch, most of them belong to the Syro-Malabar rite. Fr Sebastian Namatthil is currently our chaplain looking after our spiritual needs. 1. Holy Mass in our regional language - Malayalam on every First Saturday at 6:45pm followed by the rosary. 2. Prayer, rosary, praise and worship, adoration of the Blessed Sacrament on every Saturday at 6:15pm. 3. Catechism for children on every alternative Saturday 4-6pm unless otherwise notified. 4. LMJ (Little Missionaries of Jesus) Spiritual activities on every other Friday and activity presentation on every 3rd Saturday. 5. 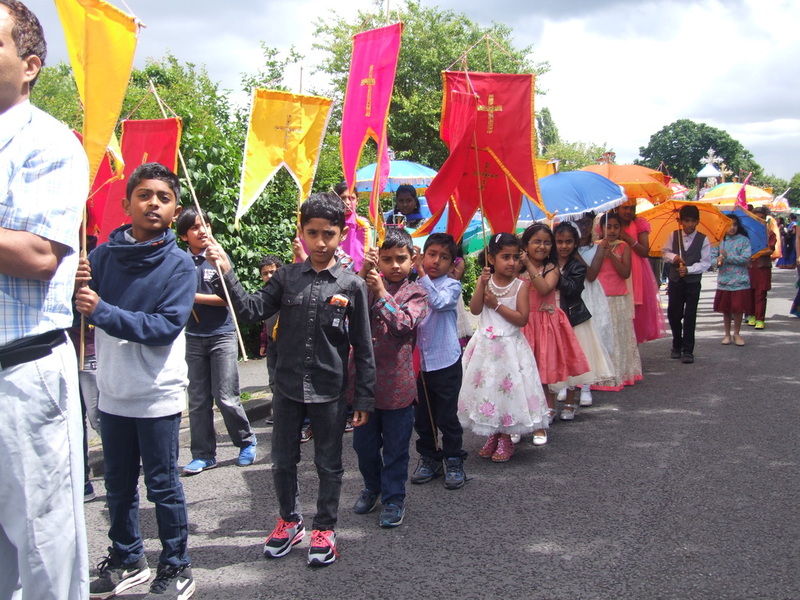 Annual faith Meet for all school going children during summer holidays. 6. Competitions every year based on the bible and faith. 7. St Tomas Day celebrations on the First Saturday of July.